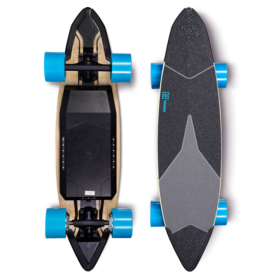 The Huger Travel electric skateboard is aptly named. It was built with the sole purpose of getting riders as far as possible. With it’s dual in-wheel hub motor, the Huger Travel can reach speeds of up to 20mph, can get you as far as 22 miles on a single charge and climbs hills with an incline grade of 20%. This electric skateboard offers quick swap battery packs so you can carry an extra battery to go even further in a single trip! 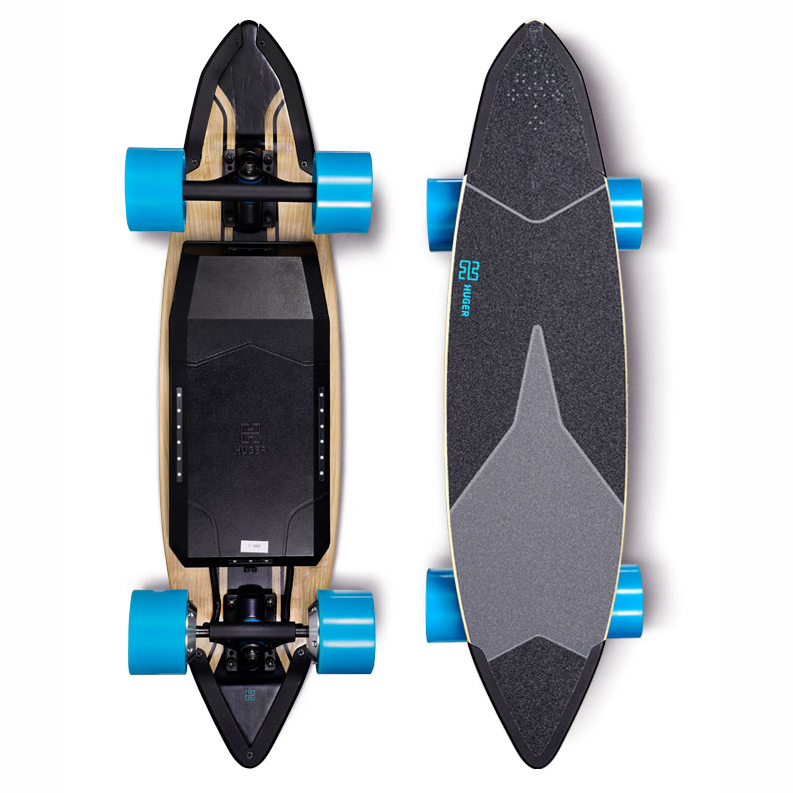 It has LED headlights and tail lights built in which makes this board perfect for cruising first thing in the morning to catch the sunrise or in the evening on the way home from work. Currently, you can only preorder them from their Indiegogo campaign. But they do have some good deals, so I’d get in quick..
Full rider review coming soon!